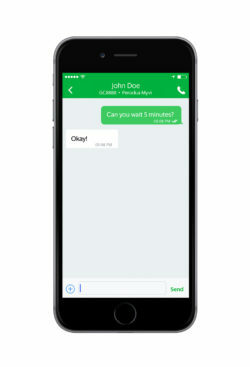 GrabChat is our new instant messaging platform within Grab. 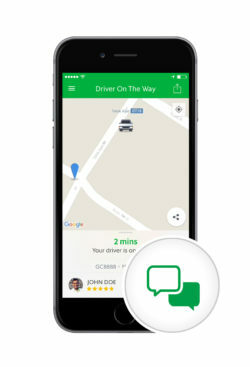 It’s a seamless form of in-app communication between you & your driver. 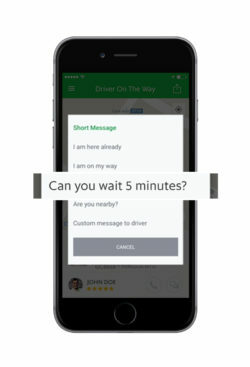 Drivers can send templated messages to passengers, with just one tap and let you know that “I’m 2 minutes away!”. And we’ve also provided some handy templates for you with messages like: “Are you nearby?” to help gauge your estimated time of pick up, or you can send your driver some handy tips on how to identify you quickly! This way, you’ll be en-route to your destination in no time. Finally, as a bonus, all of our in-app communication is free – so say goodbye to all those pesky SMS charges, or being charged for calling a foreign number! Make a taxi or car booking with Grab. You will see a Chat icon in the “Driver on the way” screen. Send your driver a friendly message!